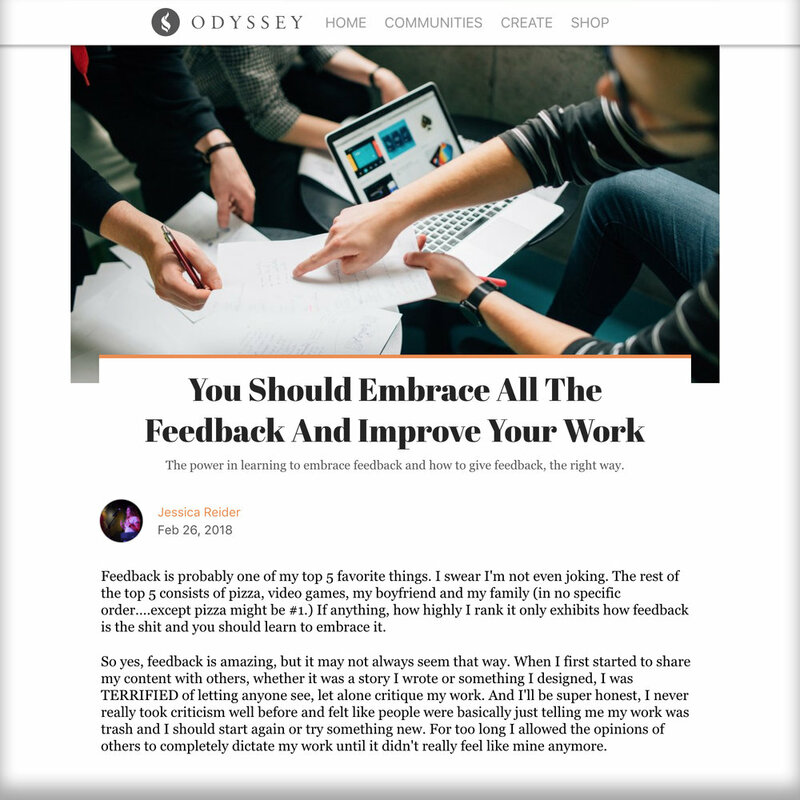 Jessica Reider, one of my Media Communications students, recently published an article on the impact that giving and receiving effective feedback has had on her as a creative. In the piece entitled "You Should Embrace All The Feedback And Improve Your Work" Jessica talks about her initial resistance to sharing her work and how she took critiques personally rather than as a positive, productive way to guide her creative process. The well-written, humorous article goes on to highlight who you should request feedback from and who should be avoided at all costs. As one of her instructors, I appreciate Jessica's discernment in knowing that not all feedback you receive needs to be applied. In the article Jessica gives a nod to the RISE Model and credits the tool with helping her learn how to give quality feedback and strengthen her collaboration skills.